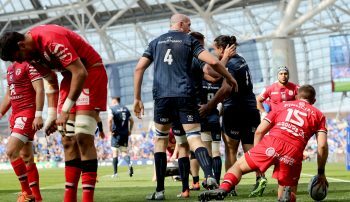 European Professional Club Rugby | Get your My Name’5 Doddie Foundation polo shirt now! Get your polo shirt now! EPCR and Raging Bull Sportswear have teamed up to release a polo shirt in order to raise funds for My Name’5 Doddie Foundation – the charity aiming to raise funds to aid research into the causes of Motor Neurone Disease and investigate potential cures. 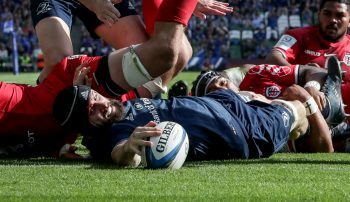 The rugby community has rallied behind Doddie Weir OBE, the former Newcastle Falcons lock who was diagnosed with MND in June 2017, and formed the My Name’5 Doddie Foundation in order to help people battling the disease. You can pledge your support for Doddie by purchasing a My Name’5 Doddie Foundation polo shirt from Raging Bull Sportswear for £40, with all proceeds going to the charity. 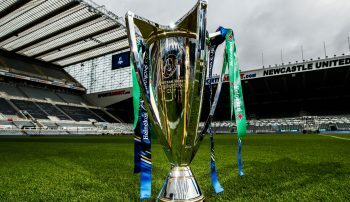 Doddie said: “We are delighted and overwhelmed by the support of EPCR with this partnership, especially in a city that is so close to our hearts. “There is no cure for this horrific disease, so to raise awareness, as well as funds, for crucial research is vital and we’ve had amazing support on a day-to-day basis. 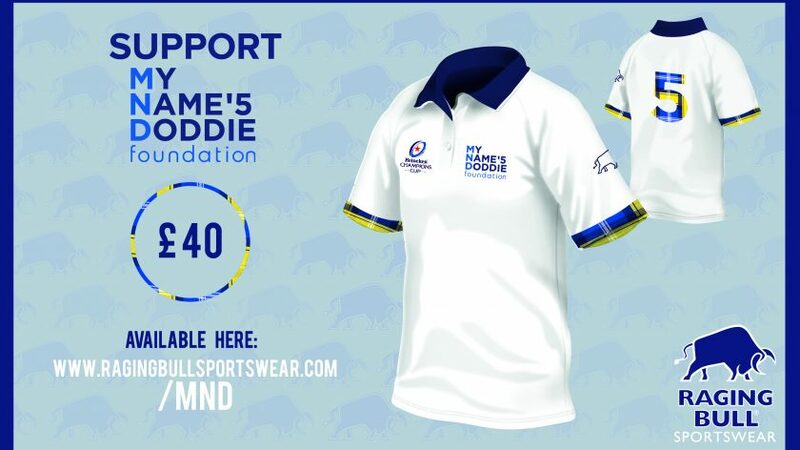 To purchase your My Name’5 Doddie Foundation polo shirt, either visit https://www.ragingbullsportswear.com/mnd or click HERE! More polo shirts will be available during European Finals Weekend in Newcastle.